Visiting Poland had been on my list for a while. Tales of great food, great beer and great sights around Krakow and Warsaw made it seem an inviting prospect. 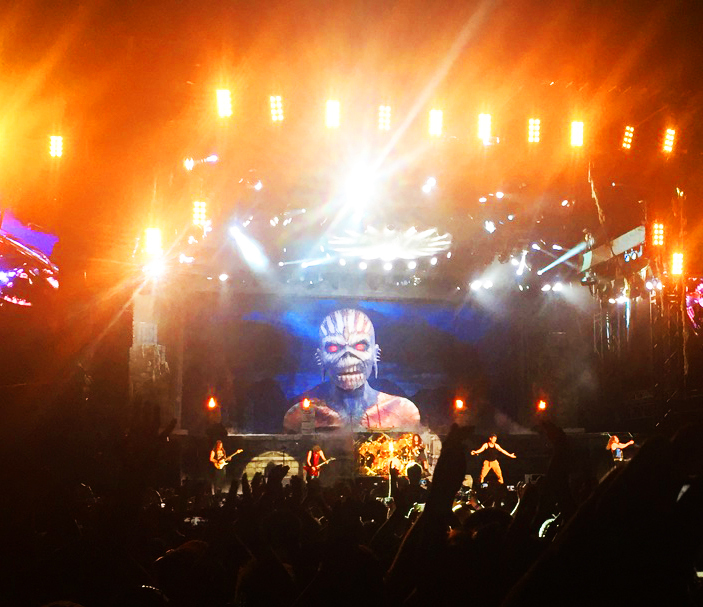 In July 2016, the chance to visit came in the form of metal legends Iron Maiden’s massive ‘Book of Souls’ World Tour which would call on Stadion Wroclaw during the European leg. 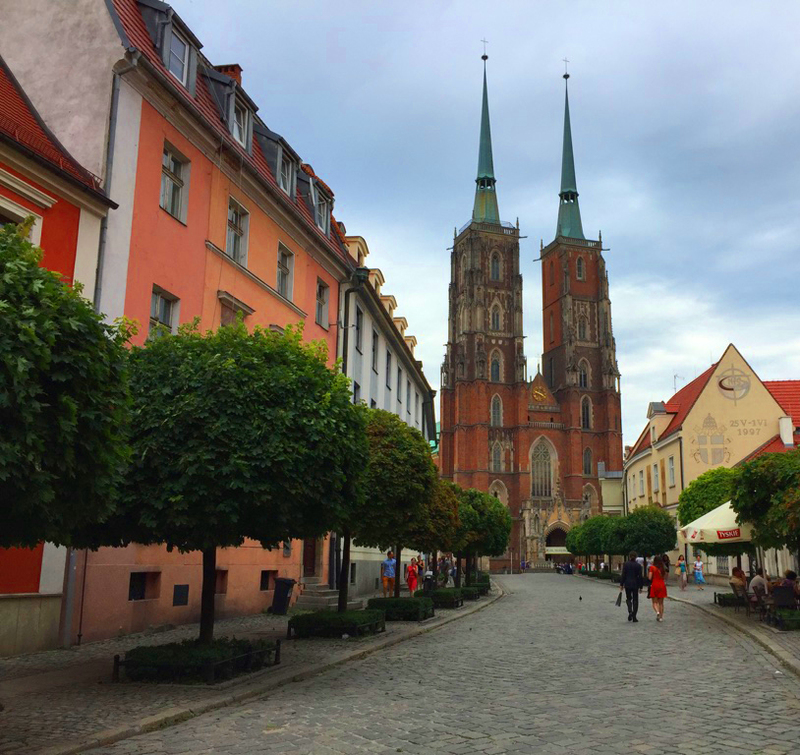 Perhaps a little underprepared (no guidebook, no knowledge of Polish and no idea how to pronounce Wroclaw) my best buddy and I arrived at Port Lotniczy airport just after midnight starting to wonder if we’d made a mistake in our lack of planning. 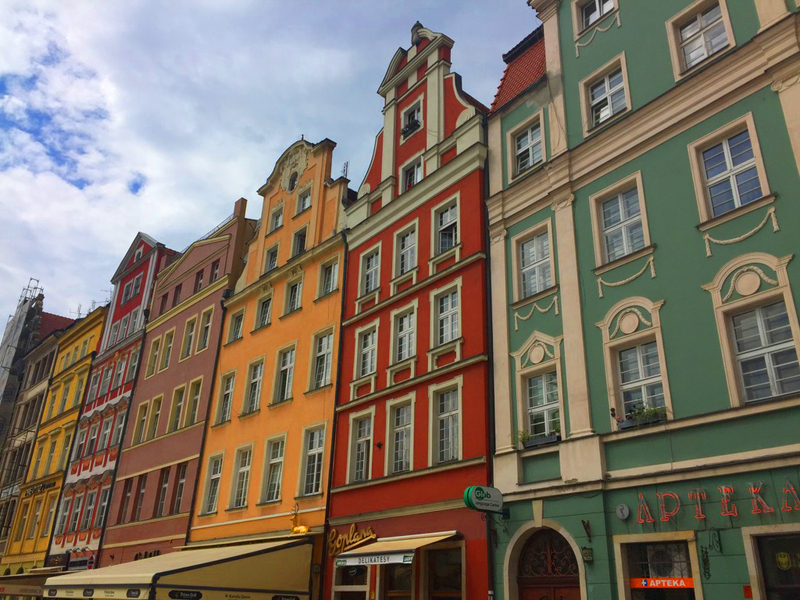 A short and inexpensive taxi ride later (luckily Polish Zloty was something we had remembered to exchange before leaving) and we arrived at our the Scandic Hotel, a short 10-minute walk from the centre of Wroclaw. No chance to sample any of the local food or beverages tonight, rather it was lights out ahead of our first full day. A warm sunny day in Wroclaw. T-shirt & sunglasses weather (for now). After breakfast and an early test of Książęce Czerwony lager (well, we were on holiday…) we soon arrived at Rynek Glowny, better known as the Main Square of Wroclaw. 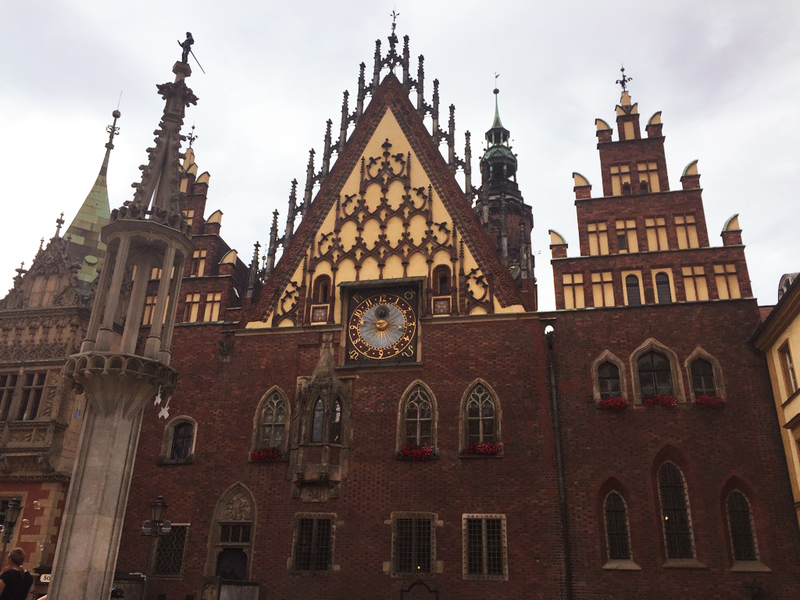 On first entering the cobbled main square, surrounded by bustling cafes, restaurants, terraces, and multi-coloured houses your eyes are drawn to the large gothic profile of the Old Town Hall decorated with its large Astronomical Clock. By this point, our choice of sunglasses seemed slightly miscalculated as the sky greyed over, soon bringing some of the heaviest rain I’ve ever had the pleasure of sprinting maniacally for shelter through a European city in. Still, to make the best out of a wet situation, we opted for a sheltered beer terrace. At this point it seemed unbelievable that we stood in the main square with an ice cream less than an hour before. After an afternoon beer (Żywiec this time) the rain didn’t seem so bad and it was time to go and visit a few more of the sights. We ticked off a walk along the Odra River, passing the large yellow University of Wroclaw, across the bridge to the oldest part of the city. Ostrów Tumski (or “Cathedral Island”) is home to Wroclaw Cathedral, or the Cathedral of St John the Baptist with it’s famous double spires, a commonly used symbol of the city. En route here you can pass over Wroclaw’s very own ‘Padlock Bridge’ with the bars covered in loved-ones lockets, padlocks and chains. Thinking of our ladies back home and deciding this wasn’t the best way to share our friendship with the world, we swiftly moved on. 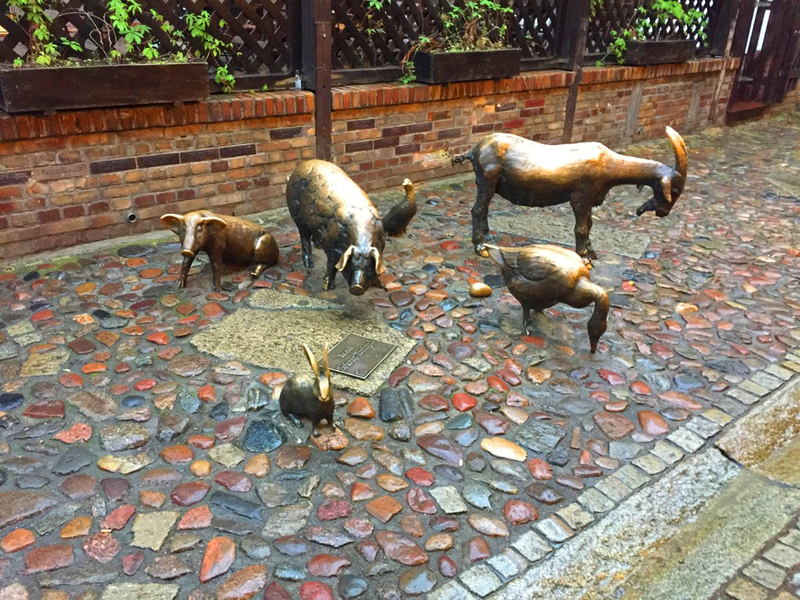 Before visiting we had heard various stories about the famous “Wroclaw Dwarves,” a collection of over 300 bronze statues spread across the whole city in various shapes, sizes and poses. 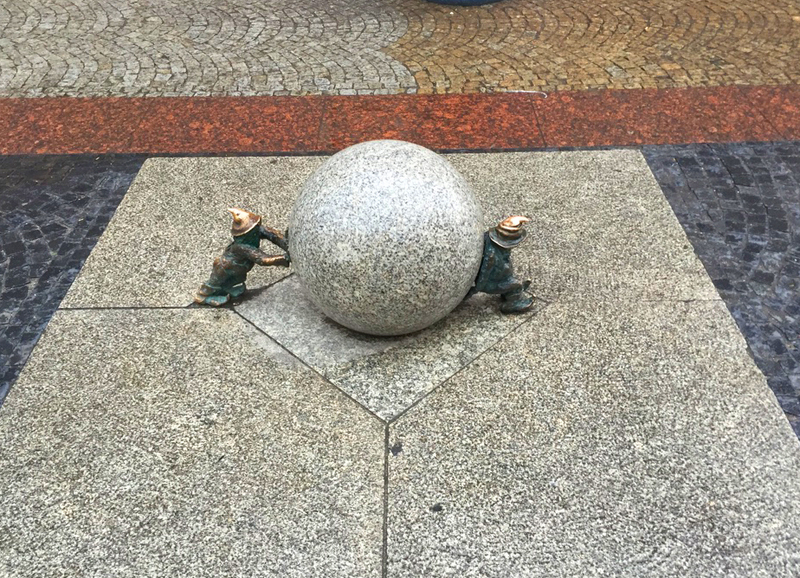 These made for a fun hunt as we toured the city (and it gets more interesting when you realise that these dwarves are not always on the ground…). The figures themselves are actually a symbol of the Orange Alternative, an underground movement using humour & non-sensical ideas as a way of peaceful protest against the communist establishment. 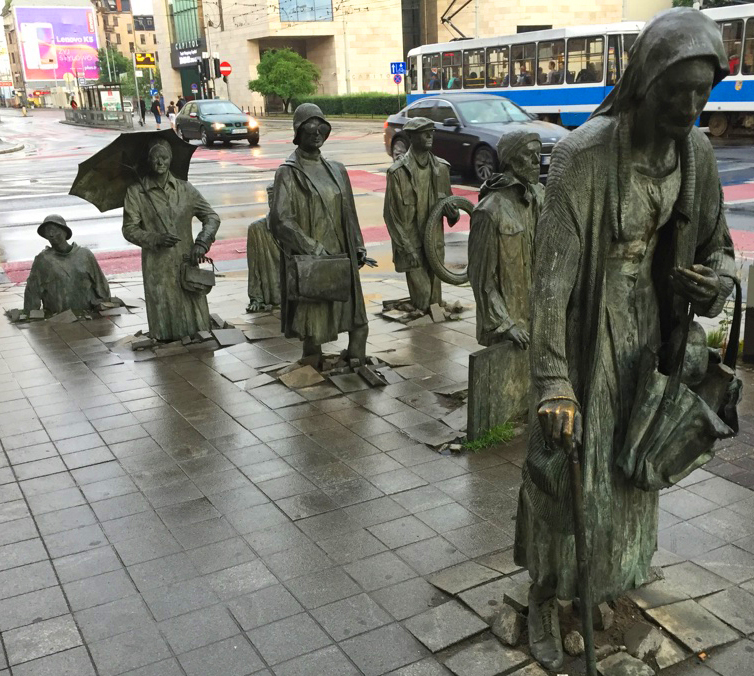 When you begin to notice these figures you will realise they are everywhere in this city. By evening, we decided to stop for dinner in the Pod Fredra restaurant on the Rynek as a Saturday evening treat. Often dining in a city’s main square is expensive, but we were pleasantly surprised by the value of our dinner (a three course meal for two and goblets of beer all coming in under £50). The food here was hearty (think meat and potatoes) and extremely pleasant. Later that evening and the city had quite a buzz and bars & restaurants were really starting to fill up. Full from our meal we opted to go searching for a bar with a quieter atmosphere and we found ourselves heading from the main square down to Plac Solny to stumble across the Ragtime Cafe. Despite being prime time on a Saturday, we managed a table beside the piano which gave us a chance to look around at the jazz-related decor including pictures of musicians, walls adorned with instruments (and even a trumpet built in to the beer taps). This was exactly what the time of place with a chilled out atmosphere we were looking for and a great way to round off the first day. Our second, and last full, day in the city and it’s becoming slightly embarrassing that we still don’t know how to pronounce the name of this city (we’ve since found out that pronouncing it as “Vrots-Wahf” seems to be the way to go). It’s also concert day and before making our way to the Stadium, we opted for some more sight-seeing. It’s hard to miss the National Museum, our first stop of the day. 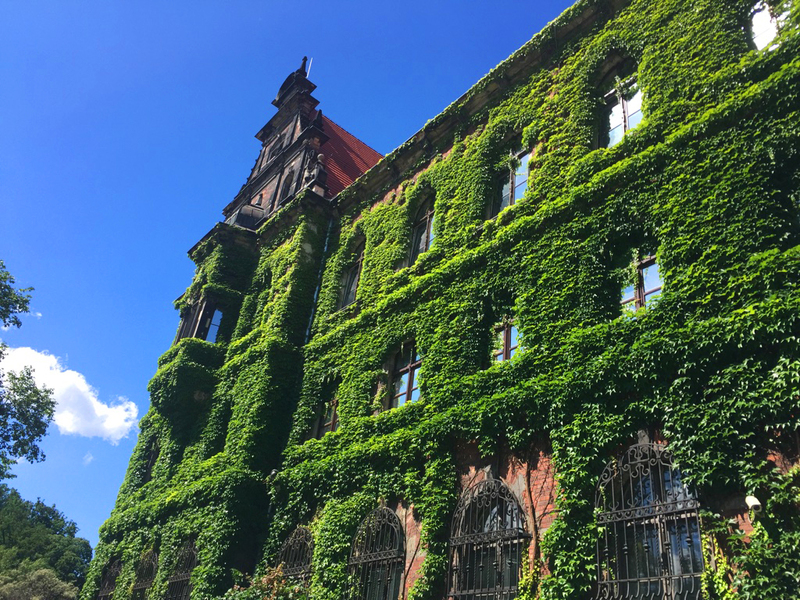 With it’s plant-covered exterior, the museum holds a wide range of Polish and European art and we spent a good few hours here. Walking around the city is interesting, there is always something to catch the eye. From bright coloured buildings and Gothic architecture, to weird and wonderful statues and street decorations. By mid-afternoon Wroclaw had become the meeting place for all things Iron Maiden. Band tees as far as you could look led to a cracking atmosphere within the main square. By late afternoon, the guitars were out and the Wroclaw street entertainers became drowned out by covers of the metal heroes. Shortly before having dinner, it was time for the traditional visit to the local gift shop (housed in the tourist information centre), opting to take miniature bronze dwarves home as a gift, because who wouldn’t want a small sized dwarf-figure on a piece of marble for their bedroom? After a final afternoon meal it was time to make our way to the Stadium for tonight’s show, easily accessed using the city’s tram system (with a stop outside our hotel) taking us directly to the stadium. Once inside, we were able to grab another beer and a pretzel before making our way into the standing area. Two and a half hours later, feeling suitably deafened by some Rock n’ Roll, we were en route back to the hotel. Convinced by now that we “knew exactly where we were going” we got the wrong tram and ended up with a slightly longer walk back to our hotel than was normal (although this was less to do with the efficiency of the Wroclaw tram system, more to do with our own misplaced confidence). A short weekend seemed a good length to get a flavour for the city and see a number of the main sites, but there is definately more to explore here. Early flights out of Wroclaw Airport the next morning rounded off a short, but well-packed weekend in Poland.